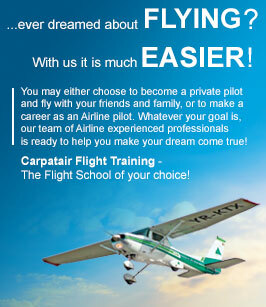 If you want to make a flight to overfly surroundings or to put up a team-building havereached the right place. Whether it is team-building or photographers Our pilotsunderstand the needs of each and will offer unforgettable views. Everything you need to do is fill out the attached form with the name of te person who is making the booking, select the number of people, when you want to fly, a telephone number where we can contact you and describe the route you want to go through. Not later than 2 working days before the date of travel the flight must be paid in full. The flight takes one hour + minimum time of flight preparations. Passengers should arrive at the airport at least 30 min. before flight. The price for the flight time is 150 EUR + VAT per hour of flight, at a capacity of 1-3 passengers. Payment shall be made ​​by PayPal, money order or cash at the office with min 2 days before the date scheduled for the flight. For non-emergency flights that cannot be scheduled with min 2 days before, an emergency surcharge of 10% will be applied. Very urgent flight bookings (bookings made ​​less than 24 hours before flight) are made ​​by phone at 0744 175 352 and paid cash directly to the pilot. *Passengers must be medically fit in. We do not accept drunk people or under the influence of hallucinogenic substances.